Torrents remain one of the best ways to download large files from the internet. They offer greater advantages than the regular FTP or HTTP downloads as they can be easily interrupted and resumed at will. Though torrents have gained notoriety for pirated content, they are still used for legitimate downloads. Torrents have now become a popular platform to distribute media even in the film industry. In order to download torrent files, you would need a BitTorrent client. 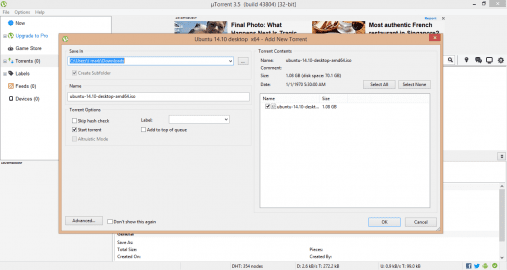 While there are many torrent clients available in the market, none matches the capabilities of μTorrent. μTorrent has been around since 2005 and is still one of the most widely used BitTorrent clients across the world. The software is free but does contain some small ads. A paid ad-free version is also available for a yearly subscription. 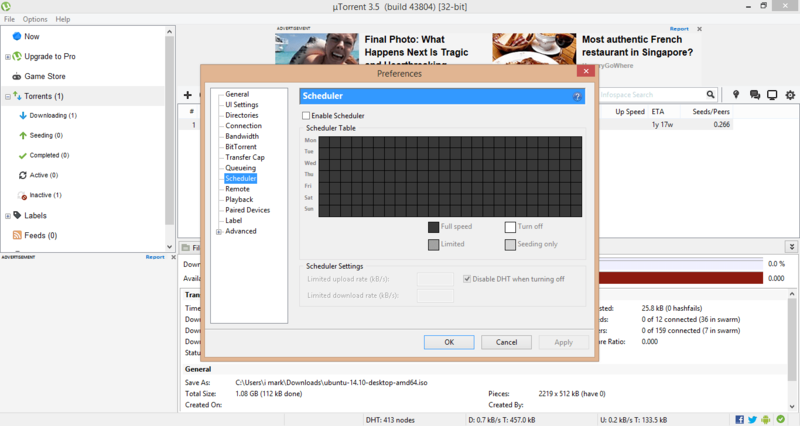 μTorrent's main appeal is its fast and minimalist design. With a setup of approx. 2MB, it installs ultra-fast on your computer. The user interface of μTorrent is highly intuitive making it usable even for people with no prior experience with torrents. It doesn't even gobble too much of your system resources, typically using less than 6MB of memory. 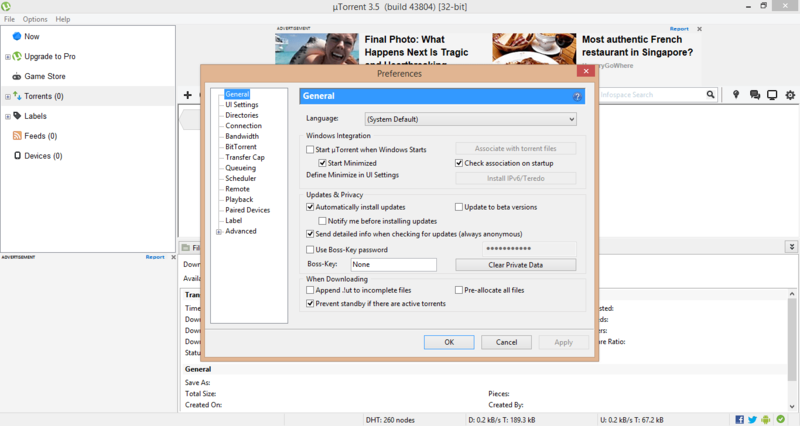 Despite its small design, μTorrent packs a variety of features and easily configurable download settings. It offers an option to download a number of torrents at the same time, and also allows you to save them at different locations. It offers bandwidth management in the form of speed limits; you can change the download or upload speed limit when required. 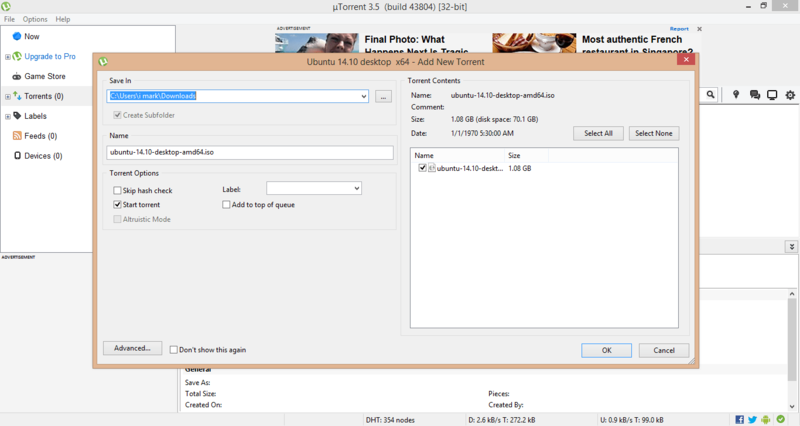 Besides downloading, μTorrent can be used for creating new torrent files using any file and folder. The software is available across multiple platforms, including several versions of Microsoft Windows, macOS, Linux and Android.